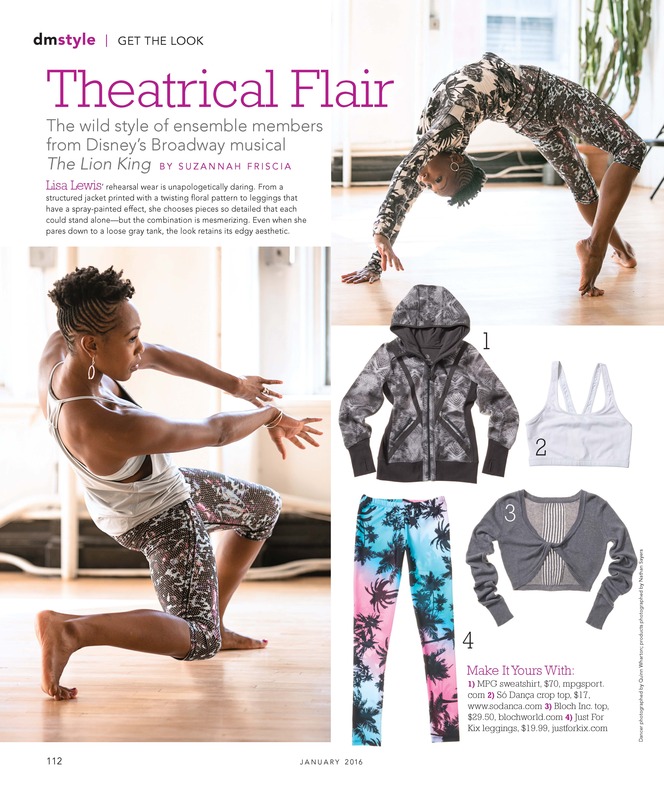 The wild style of ensemble members from Disney's Broadway musical The Lion King. Lisa Lewis' rehearsal wear is unapologetically daring. The color green dominates Jaysin McCollum's look, which is an effortless blend of streetwear and studio staples.